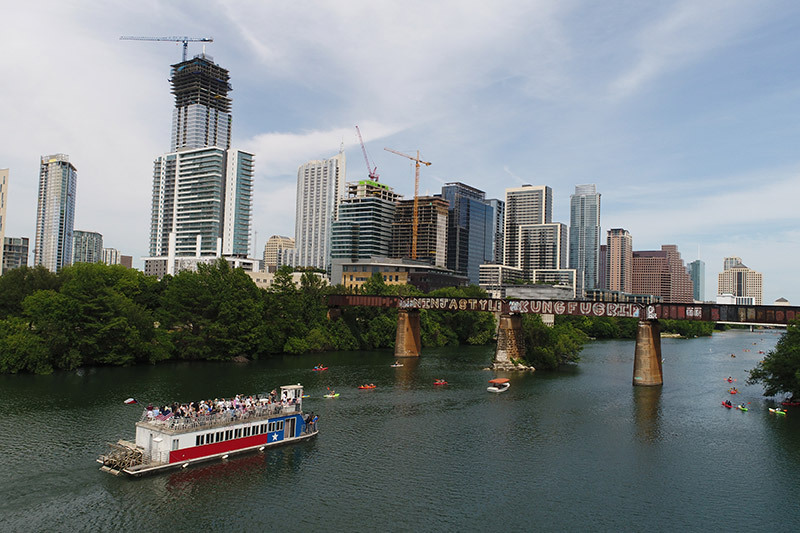 Enjoy a quiet, scenic and relaxing cruise on Lady Bird Lake. Enjoy a quiet, scenic and relaxing cruise on Lady Bird Lake, aboard one of our all environmentally-friendly electric cruisers. Come join us and take in the picturesque sights of Lady Bird Lake. Most public sightseeing cruises will be on The Lone Star. Site created by the makers of the Austin Attractions page and the Austin Congress Bridge Bats page.